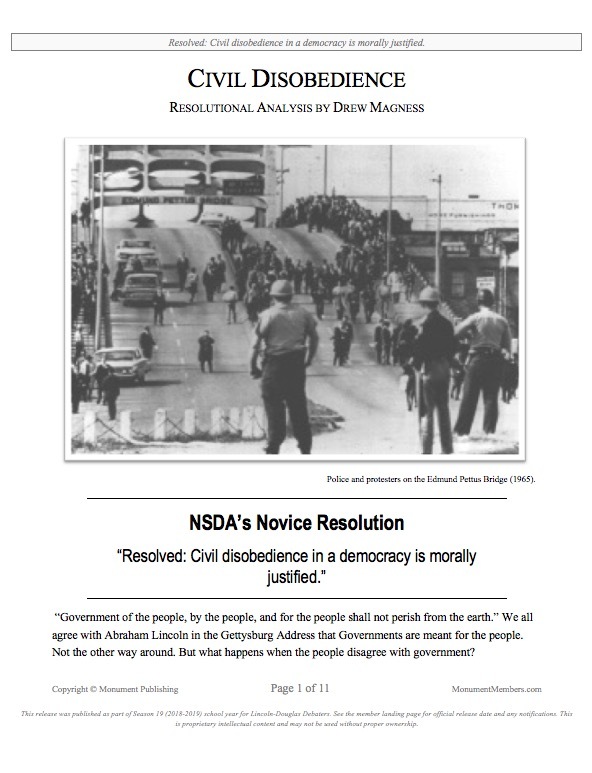 About "Resolutional Analysis of Civil Disobedience"
Understand what civil disobedience is. Take a look at 3 paths for each side of the resolution. Study model cases, affirming and negating the resolution. The third will be done in coming weeks. As a Monument Member, you will receive an affirmative and negative case to model. The first two we will accomplish now. 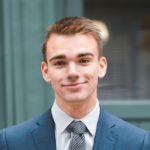 Drew competed in Stoa, NCFCA, and NSDA for four years total at over 40 tournaments with consistent success, winning tournament champion at the 2018 NITOC and placing #1 overall nationally on speechranks. Now, he coaches students and clubs across the nation online and in-person. Drew is committed to the activity of speech and debate and believes in the transformative power of forensics competition. Drew Magness currently coaches hundreds of students across the nation. Learn more at acepeak.org.